Singh Realtors is real estate company dealing in all type of properties *We will not bend the truth to make a sale. *For every single customer, we will work as hard as we can to help them achieve their dreams. *We are grateful and inspired to be working with a select team of professionals whom we believe are the most capable, honest and hard-working in the field. *We believe that working hard at something you love to do, with people you trust, is one of the greatest experiences in life. *We love to help our customers find a house that can become a happy home. *We are devoted to our family, our colleagues, our community, and our country. *We are proud to offer what we feel are the finest homes in the country. *Finally, we believe that our business can be successful for generations only if we continue a Tradition of Trust. We provide the most professional, informative, loyal and dedicated service in the industry. The best interests of our clients will always come first and we will place the clients' concerns ahead of our own in each and every transaction, as we are dedicated to the development of long-term client relationships! Our team-approach philosophy ensures your needs are important to each and every member of our organization. . *Finally, we believe that our business can be successful for generations only if we continue a Tradition of Trust. 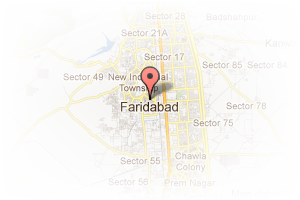 Address: shop no 12 opp ozone park apartments sec 86 faridabad, Greater Faridabad, Faridabad, Haryana, India. 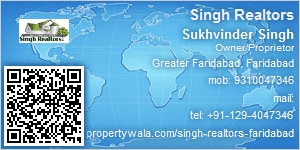 This Broker Profile page for "Singh Realtors" has been created by PropertyWala.com. "Singh Realtors" is not endorsed by or affiliated with PropertyWala.com. For questions regarding Broker Profiles on PropertyWala.com please contact us.